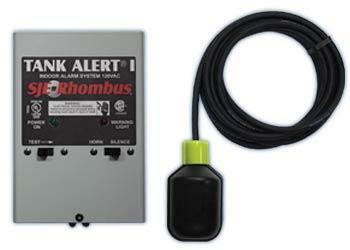 Tank Alert® alarms provide audio/visual warning of potential threatening liquid level conditions. The Tank Alert® I indoor alarm system provides audio/visual warning of potential threatening liquid level conditions in lift pump chambers, sump pump basins, holding tanks, sewage, agricultural and other non-potable water applications. If an alarm condition occurs, the horn sounds and alarm light activates. The horn can be turned off, but the alarm light remains on until the condition is remedied.